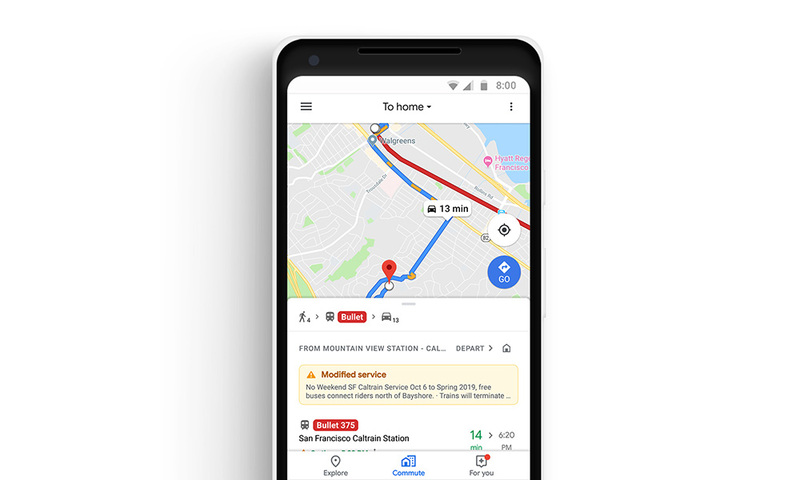 Google Maps is getting a whole bunch of new fun this week to help with commutes, give you quicker access to music as you commute, and show you exactly where your train or bus is as you head out of the office. Seriously, this is a big time update for Google Maps. Google is adding better commute controls with more info. They are adding real-time location viewing of transit. 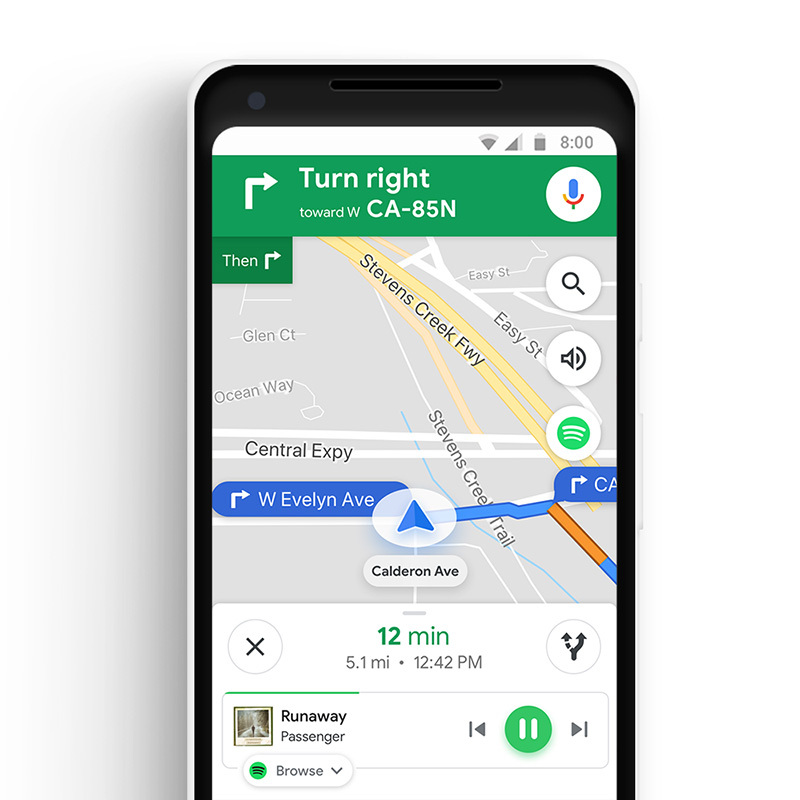 And, and you can now control music through Google Maps as you head out for a drive. A lot of the news surrounds Google Maps’ new commute controls. You can see how these look below, but the basics are that you now get comprehensive commute information with multiple route options. 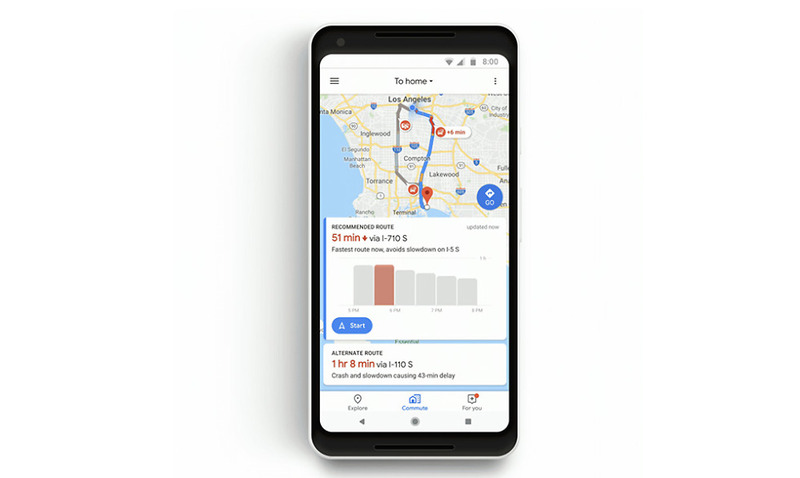 Google will tell you if your drive is “going to be a normal one or if you’ll need to budget extra time due to things like an accident or heavy traffic.” They’ll give you a meter, sort of like the restaurant location wait time meter, to show you if you are traveling at a busy time. And they can now break up your commute if it includes part driving and part transit (see image up top). Speaking of transit, Google has added even better real-time transit info. Now, in 80 regions around the globe, you’ll be able to see exactly where your train or bus is on the map, as it moves from stop to stop. In addition to that, Google has already partnered with one transit company in Australia that will show you how full your bus or train is. They expect to add this feature to more carriers in the near future too. Finally, Google has added music controls to Google Maps and they support Google Play Music, Apple Music, and Spotify. As the image above details, you can keep your navigation session up while you change tracks or pause music. With Spotify, Google has also added controls for browsing through songs, albums, podcasts, and playlists.